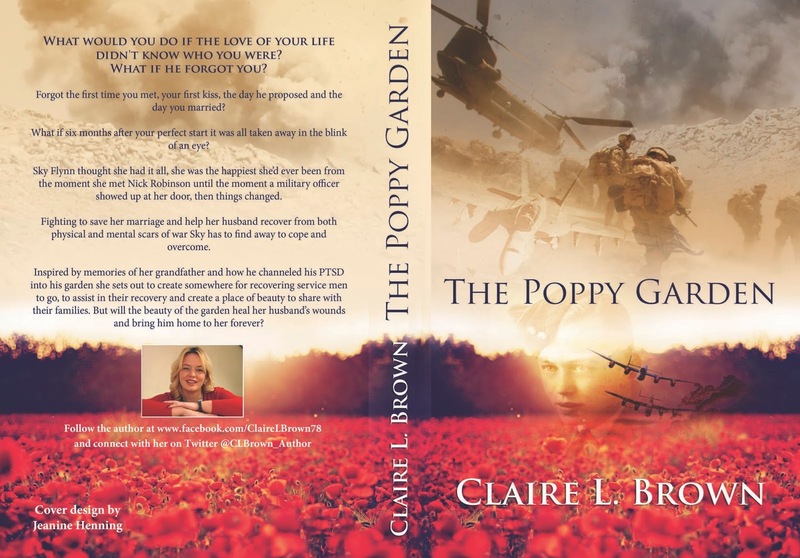 Today I'm joined on the Book Corner by author Claire L Brown to talk about her new book, the Poppy Garden. What would you do if the love of your life didn't know who you were? What if he forgot you? Forgot the first time you met, your first kiss, the day he proposed and the day you married? What if six months after your perfect start it was all taken away in the blink of an eye? 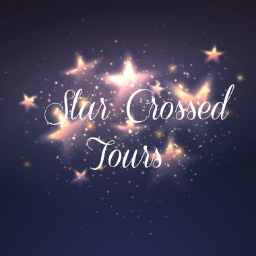 Sky Flynn thought she had it all, she was the happiest she’d ever been from the moment she met Nick Robinson until the moment a military officer showed up at her door, then things changed. Fighting to save her marriage and help her husband recover from both physical and mental scars of war Sky has to find away to cope and overcome. Inspired by memories of her grandfather and how he channeled his PTSD into his garden she sets out to create somewhere for recovering service men to go, to assist in their recovery and create a place of beauty to share with their families. But will the beauty of the garden heal her husband’s wounds and bring him home to her forever? I'm a writer - but what does that really mean? I tell stories, but where do they come from? I've always been obsessed by stories, ever since I was a child. If I wasn't reading them I was writing them or acting them out. If there wasn't a story in my collection I wanted to read then I made it up and told it to myself. As I got older I started writing ideas down and then slowly they evolved in to books or screenplays. The book I'm publishing next month is something different for me. I think it's the first time in my life I've told a story with out some kind of twist or mythic/adventure element. It's the first drama I've ever written and it's probably going to be one of the most personally important books I'll ever write. I started this project two years ago - I know that's a long time to be working on one book. But I had to get it right, because its for someone very special. I spent a great deal of my childhood with my Granddad. While my parents both worked on a Saturday my Granddad used to wake me at six and take me to the beach. We'd park the car and walk along the pier and the sand and I'd think nothing of it. It was something my Granddad did with me. I always thought it was just something he did to get out of the house while my nan did the house work or baked. It wasn't until after he died that I found out the beach was the first place he came when he returned home from World War 2. It was a special place for him, a place to remember and draw strength from, because he had made it home. 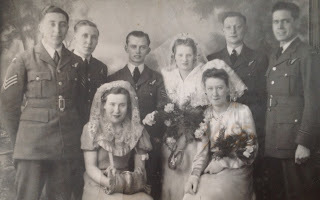 My grandfather, Joseph Robinson was around nineteen when he joined the RAF in 1940. He was a Brylcream boy and remained one his whole life. He rose to the rank of sergeant, the tail gunner of LM471 in 576 Squadron Bomber Command. He married my nan in February 1944 and on the night of the 24 March 1944 he was part of a bombing raid over Berlin. His plane like many that night was blown off course in to a field of flack and shrapnel which tore at the plane crippling it. He fought as long as he could until he was left with two other members of the crew, the others having parachuted out. He was directed by the pilot, to take the last parachute and jump from the bomb doors as they main door was damaged. The Pilot and Flight Engineer went down with the plane and were killed. Landing in France behind enemy lines my grandfather was taken in by a farmer, initially they became good friends until one day the farmer handed him over to the Gestapo and he was entered as a POW. As many prisoners did my granddad wanted to escape and took part in the digging of tunnels as others had in the Great Escape. Before he could leave he was marched out of camp as the Russian Army approached. He became part of what is known as the Long Walk; a death march from which he escaped. He returned home to his wife and raised a daughter and then two grandchildren. He was a strong man, I never heard him swear or loose his temper and he never told me the whole story of his time as a POW. As a child you don't really question the stories you are told, now I wish I had because his is a story I would love to read completely. If every life is a book, a story to be told some of the pages of his are blank to me and I so wish I knew the hidden stories. I tried for a long time to find a way to tell his story, the lack of information was always my stumbling block, until one day while digging in my garden it struck me how I had spent many an hour watching him work in his. It was then that I realised this was his way of coping with the horrors he had lived, just like going to the beach. He took the bad and made it beautiful, he turned the horror of war in to the beauty of a rose. His story isn't a recounting of history but more a story of hope, of coming to terms with the experiences of his life and finding a way to live and thrive. So I started writing The Poppy Garden, a story of an injured soldier coming to terms with his experience and the family that support and fight for him. I only hope this story honours his memory and brings beauty from darkness the way he brought beauty to his garden. My grandfather was a great support of the Royal BritishLegion and I would ask if you can please wear a Poppy with pride this Remembrance day. Thank you Claire for sharing this with us. Claire L Brown born Sunderland, England. Claire is a BA Hons Graduate in Media with American History from Sunderland University. After attending Western Washington State University and spending several years working as a personal assistant in her native North East, Claire now writes part time. 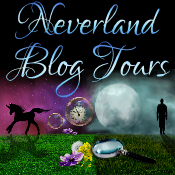 Claire concentrates mostly on romance, fantasy and thriller genres. Claire also writes two blogs, My Life as a Writer focusing on her experiences as an author and My Life as a Writer When I'm Not Scribbling where she writes about lifestyle, beauty, books, movies and anything else.